<\/span>But no one had mentioned wind-blasted, manure-spattered days beginning at 5 am, or that the venison was likely to taste of 'manky old sagebrush soaked in rabbit pee'. <\/span>Lynn Parr spent 10 years living and working on cattle ranches in the Cowboy State, and discovered that rural life has largely remained unchanged since the 19th century. <\/span>Season by season, Cowgirl<\/i> documents life on a working cattle ranch, its tasks bound up with the dramatic landscape, the unforgiving elements and the abundant wildlife. <\/span>And Cowgirl<\/i> is also a history of the state where everything you ever heard about the Wild West took place. \"Everything from log cabins to sod houses, wagon trains to the Pony Express, Buffalo Bill to Butch Cassidy... I had no idea it all happened in Wyoming.\"
\"...another beautiful piece of lyric writing.\"
\"It really entices you to visit the West!\"
\"Lynn Parr's comic ability is masterful. Apt, perfectly crafted descriptions continually sneak up on you so that you find yourself laughing out loud at inappropriate moments.\"
\"I just picked it up to read a bit, then I couldn't put it down.\"
\"What shines through is her love of the landscape and the animals.\"
Also available in the Amazon Kindle Store<\/a>, Kobo<\/a> and Nook<\/a>. ...how a porcupine makes love? ...what Butch Cassidy did in Wyoming after working with the Sundance Kid? ...why the Bald Eagle became the symbol of the USA instead of the Wild Turkey? ...how and why traditional cowboy clothes were developed? ...which outlaw's skin was made into a pair of shoes? But no one had mentioned wind-blasted, manure-spattered days beginning at 5 am, or that the venison was likely to taste of 'manky old sagebrush soaked in rabbit pee'. Lynn Parr spent 10 years living and working on cattle ranches in the Cowboy State, and discovered that rural life has largely remained unchanged since the 19th century. Season by season, Cowgirl documents life on a working cattle ranch, its tasks bound up with the dramatic landscape, the unforgiving elements and the abundant wildlife. 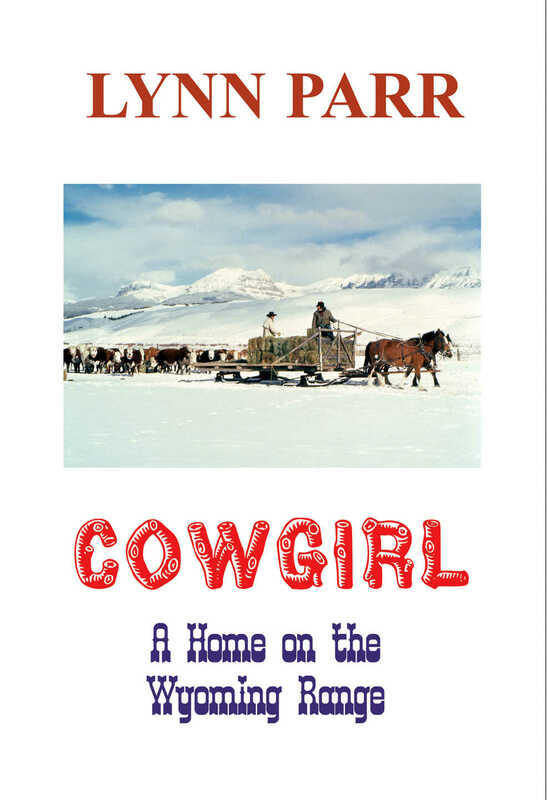 And Cowgirl is also a history of the state where everything you ever heard about the Wild West took place. "Everything from log cabins to sod houses, wagon trains to the Pony Express, Buffalo Bill to Butch Cassidy... I had no idea it all happened in Wyoming." "...another beautiful piece of lyric writing." "It really entices you to visit the West!" "Lynn Parr's comic ability is masterful. Apt, perfectly crafted descriptions continually sneak up on you so that you find yourself laughing out loud at inappropriate moments." "I just picked it up to read a bit, then I couldn't put it down." "What shines through is her love of the landscape and the animals." To purchase, click on Add to Basket, then View Basket. On the shipping page, please choose your book from the drop-down menu to get the correct p&p. You will then be taken to PayPal, where you can either log in or pay as a guest without having a PayPal account. Some older browsers may not show the payment page. If you get an error message, please contact info@lynnparr.co.uk to purchase by other means. Thank you! Also available in the Amazon Kindle Store, Kobo and Nook.